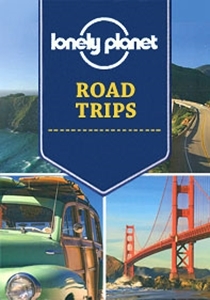 The Lonely Planet Road Trip series is a new series for 2015 and it explores the favourite driving destinations in some of the best road tripping countries. These full-colour guides provide a wealth of information needed to embark on a driving adventure. With illustrated itineraries, regional highlights, practical driving information and city walking tours, they are indispensable for planning your trip and referencing while on the road. Each guide introduces the road trip and region with a reference map showing the route divided in 3 or 4 sections, or 3 or 4 different road trips in a country or region. This is accompanied by an at-a glance facts table with ‘Best time to go’, ‘Great for…’, ‘Highlights’, ‘Best two days’ and distances, followed by brief highlights of two main cities, making this part of the guide ideal for planning your trip and deciding your stopovers. Then, each road trip (or section of it) is explored in more depth with each chapter detailing the attractions and highlights along the road, worth detours, ways to link different trips together, all indicated on a road map. Following chapters offer insider tips and pay particular attention to the destinations you will visit on each section of the trip. There you will find helpful city maps with walking tour options where suitable, illustrations and photographs of main attractions, places to visit, events calendar, listings of where to eat and stay with a brief description, contact details and price range. The last few pages are dedicated to driving in the specific location with practical tips, expert advice, road etiquette, required documents, insurance, rentals, distances, border crossing, road rules and recommended maps. The guides come with a reference pull out road map, ideal for planning, highlighting the route/s, main roads and cities and locating national parks and green areas.